The Minotaur's dungeon is under siege of the heroes, and the monster must think of something urgently, otherwise he will be destroyed. He decided to smash his enemies throwing heavy stone balls at them. 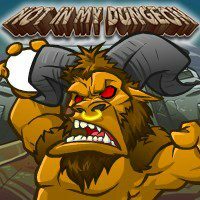 Will you help Minotaur to defend his abode?